Can't drag yourself to the gym? Apparently, you can't even pay some people to work out. Case Western Reserve University scientists found that even financial rewards can;t motivate certain individuals to hit the gym. Fortunately, your wallet doesn't have to get lighter with every missed rep - if you're struggling to motivate yourself to shift pounds, MH has your back with 5 facts designed to get you down the gym. What are you waiting for? Wake up your morning workout with a cup of the black stuff. Researchers at Coventry University found that gym-goers who consumed a caffeinated drink were able to work longer and train harder than their tired training partners. This doens't mean washing down your Weetabix with a can of fluorescent fizz. Use our guide to making the ultimate cup of coffee and keep going all session long. Forget fasted cardio: the International Journal of Sports Nutrition and Exercise Metabolism found that eating breakfast boosts your VO2 max and supercharges fat-burning for the remainder of the day, meaning you’ll be fully energised when it's time for your workout. Stuck for ideas? Tuck into one of these recipes from our perfect week of breakfasts – just go easy on the hash browns. Get specific for better results. A study in the International Journal of Sport and Exercise Psychology found that setting a weekly target makes you more likely to commit than a striving for a vague end goal. Think 'lose 2lbs by Friday' or 'add 5kg to my bench press in 5 days', not 'get ripped in time for my beach holiday'. You’re much more likely to haul yourself off the sofa if your spotter is banging down your front door. Not only that, Kansas State University found working out with somebody significantly stronger than you boosts the intensity of your own session by 200%. Swallow your pride, text a muscle-bound mate and have him haul you through that final set of deadlifts. Commit to the gym or wave goodbye to your bank balance. 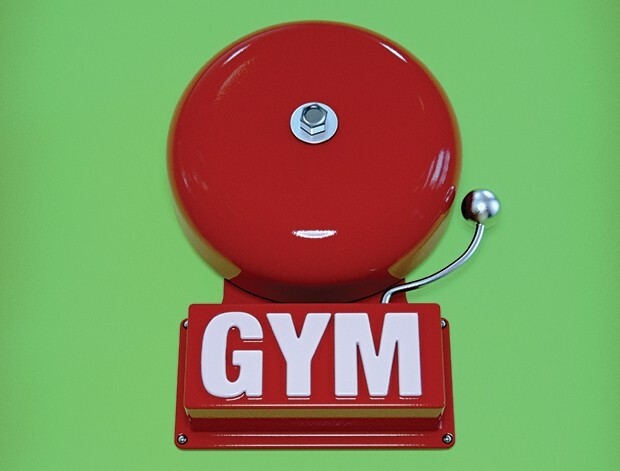 A study by University of California researchers found that those who were paid to go to the gym doubled their attendance rate. No-one willing to sponsor your sessions? Use the app Pact and put your money where your mouth is. It charges you every time you miss a workout and pays out every time you do. Best dust off your trainers before you find yourself in the red.